The notable lifestyle brand, Porsche Design, is celebrating a momentous 40-year milestone of its P’8478 sunglasses. The glasses, which were first developed in 1978 by Professor Ferdinand Alexander Porsche, have grown to become an icon of the brand throughout the years. Now four decades later, Porsche Design is launching a limited-edition version of the P’8478 sunglasses to commemorate the anniversary. The limited-edition glasses aptly called “40Y” comes exceptionally packaged in a travel box, which securely holds everything in place when you’re bringing them on the go. With a matte-black titanium frame, the lenses on these limited-edition glasses can be swapped in and out. 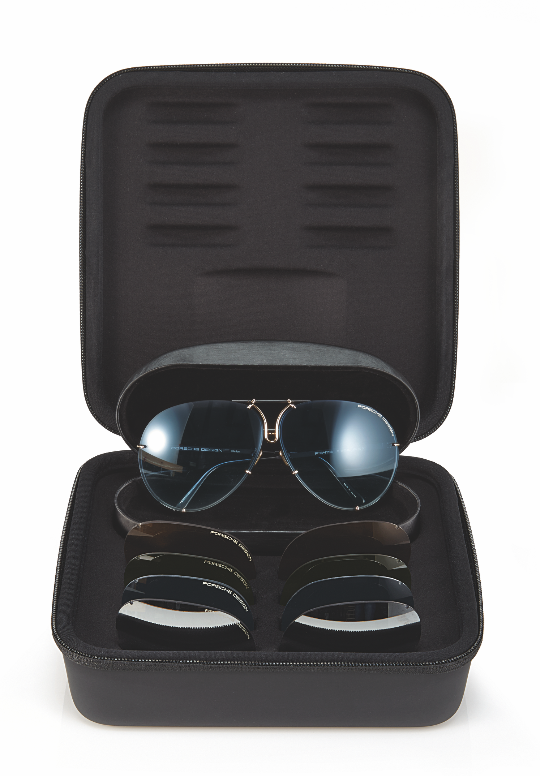 The travel box comes with four interchangeable lenses in various colors such as blue gradient, brown, olive/silver mirrored and mercury/silver mirrored. To add a finishing touch to the pair, the nose-bridge is highlighted in gold, giving the glasses a modern look and feel. The “40Y” sunglasses will come in two varying sizes to better suit the preferences of each Porsche Design customer. Each size will be limited to 1,978 pairs, both retailing for $935. The limited-edition “40Y” sunglasses will hit the market mid-April and are available for purchase online at www.Porsche-Design.us or in stores.